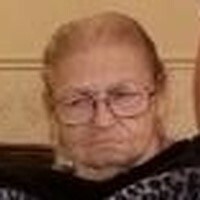 Mrs. Rosie Barnett, age 81, of Murray, Kentucky died at 9:30am Wednesday, January 23, 2019 at her residence. Mrs. Barnett was born May 27, 1937 in Calloway County, Kentucky to the late Lou Ellen Duncan and Eulala Outland Duncan. She retired from retail sales and attended the Russell Chapel United Methodist Church. She is survived by her nephew, Thomas O. Jones, Murray. The funeral service will be at 1:00pm Friday, January 25, 2019 at the Blalock-Coleman & York Funeral Home with Rev. David Allbritten officiating. Burial will follow in the Murray Memorial Gardens and friends may visit the family from 4:00pm to 7:00pm Thursday at the funeral home.